Hi friends!! 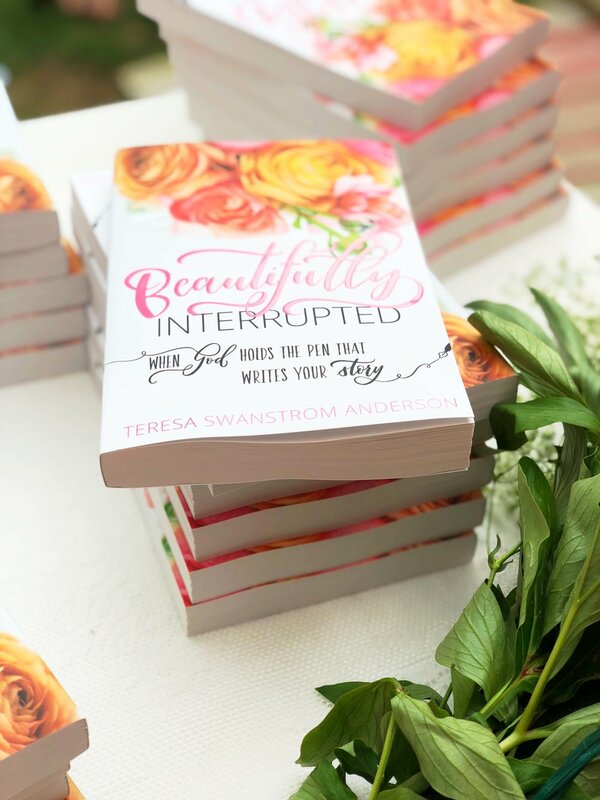 Tomorrow is the big day...Beautifully Interrupted releases into the world! This book is for dreamers and planners, and anyone else who wakes up one morning feeling perhaps God is whispering the words, bigger and more into their lives. Women, who like me, have gotten so wrapped up dreaming an amazing life for Him that we forget it's only amazing if it's designed by Him. I felt His promptings but wondered: Could I release my plans and let Him rewrite my story? Should I release it all and trust that the Lord actually knew what He was doing? I finally opened my hands and breathed the words Yes and Send me...and guess what?? Once I released it all back to Him, God interrupted my life in many exciting ways that I could never have orchestrated on my own because they were all too big...too outrageously beautiful. May the Lord interrupt you greatly, too! !